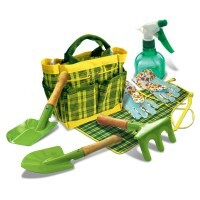 This bright green kids leaf rake is designed by Janod for the little hands to help in the garden! 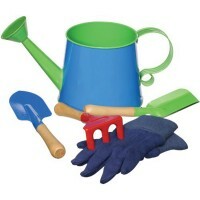 Young gardeners will be delighted to help you with spring or fall clean up using their own garden tools. Kids Garden Large Leaf Rake is designed by French toy manufacturer, Janod, for the young helpers to take the leaves and weeds. 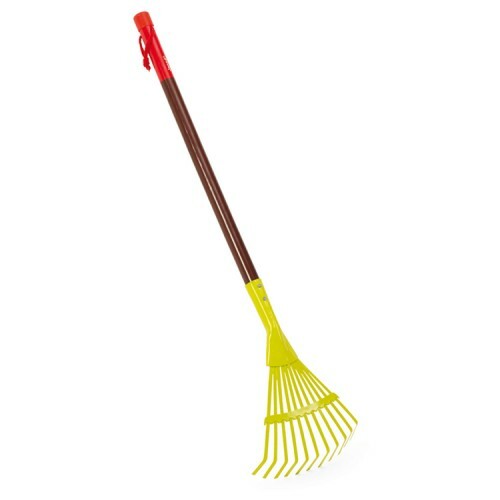 Sized perfectly for preschool kids, this bright green metal leaf rake features an easy-to-hold wooden handle. 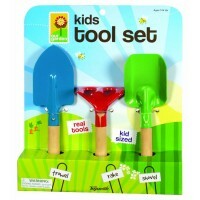 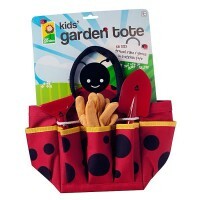 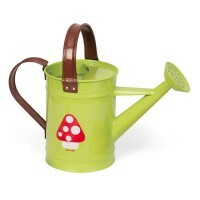 Kids Garden Large Leaf Rake can be used alone or with the perfectly matching Janod spade shovel. 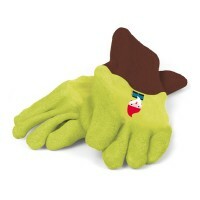 And don't forget to add the color matching Janod kids garden gloves to keep the little hands clean and safe! 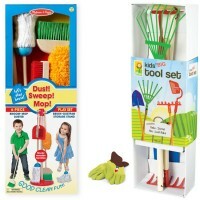 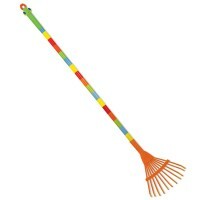 The kids leaf rake from Educational Toys Planet is 28.7 x 7.5 x 1 inches. 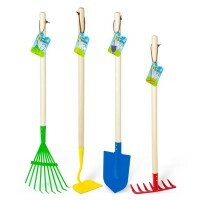 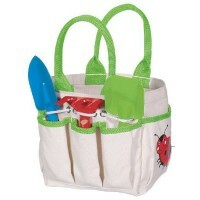 Dimensions of package 7.87" x 28.54" x 2.56"
Write your own review of Kids Garden Large Leaf Rake.